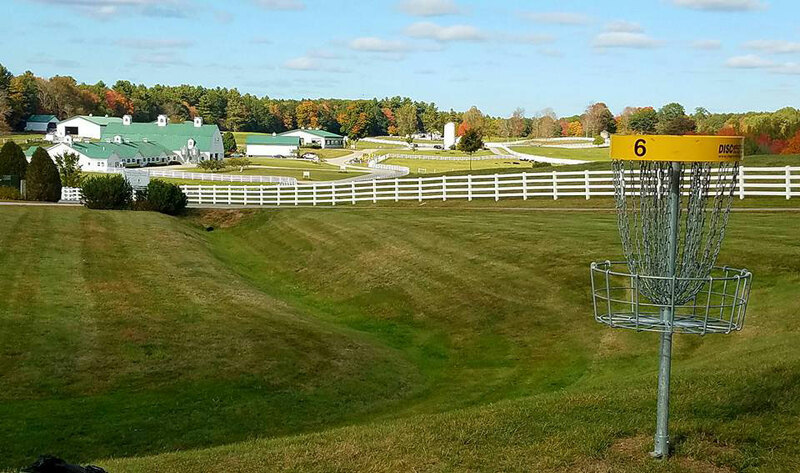 Pineland Farms boasts two full 18-hole disc golf courses: the Patriot and the Minuteman. With pinched fairways and “turtleback greens” Pineland’s pro 7,155 foot Patriot course is a challenging 18 holes with a variety of fun obstacles and varying terrain which follows along the Access and Campus Loop skiing trails. Pineland’s newest course, the Minuteman, is 4,116 feet long and set with a more recreational par. The course was designed with both beginners and advanced players in mind. The Minuteman course plays through some of the wooded fairways, hayfields, and the rolling hills Pineland Farms, and New Gloucester are known for.